Entertainment powerhouse, Nicki Minaj has become well-known over the years for her cut-throat lyrics, bizarre costumes and outspoken stance on feminism. Known to captivate audiences with her every move, it was a no-brainer for TIME to select the 33-year-old rapper for its annual '100 Most Influential People'. In an exclusive interview, Ms. Minaj details her early quest for power and autonomy over her career. At a young age she made it clear that her future would hold nothing short of boss moves. 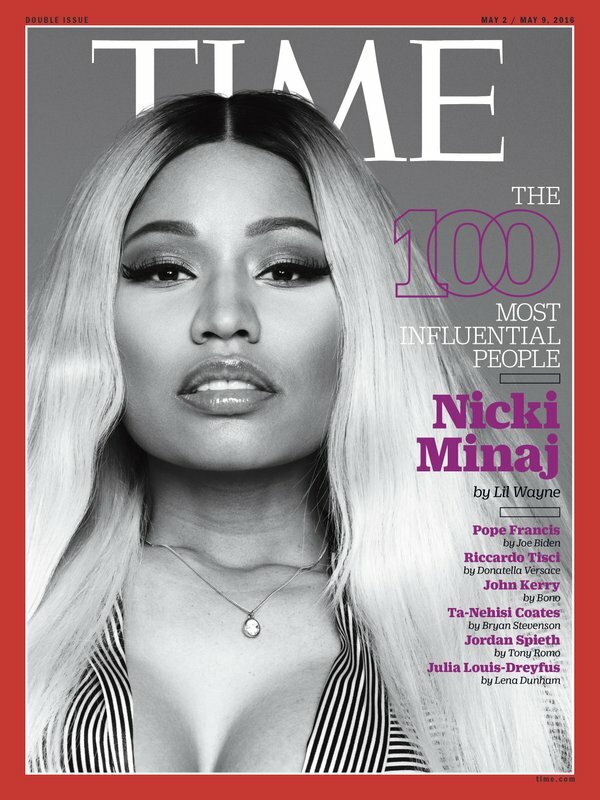 Nicki also mentions why she finds it important for Black women to be credited for their influence in popular culture. "I think Black women are held to higher standards. A lot of pop culture takes from Black culture and often times doesn't really say they got it from Black culture," Minaj said. "Magazines are acting like they're just being done for the first time because it's on a white woman's head or it's on a white woman's body, and you have to get used to living in a world that doesn't even acknowledge that you did certain things." Photo: Tumblr Nicki is all about sharing the wealth. She's passing along valuable advice to other women about boldly seeking fair pay. "I think women have the tendency to feel that they shouldn’t ask to be compensated as much a man doing the same exact thing. If you know you’re great at what you do, don’t ever be ashamed to ask for the top dollar in your field." See the full interview for yourself.